The Boucheron Quatre Follies ring is polished to perfection by the Hands of Lightthe Maison's master craftsmento exalt the properties of pink and black gold. 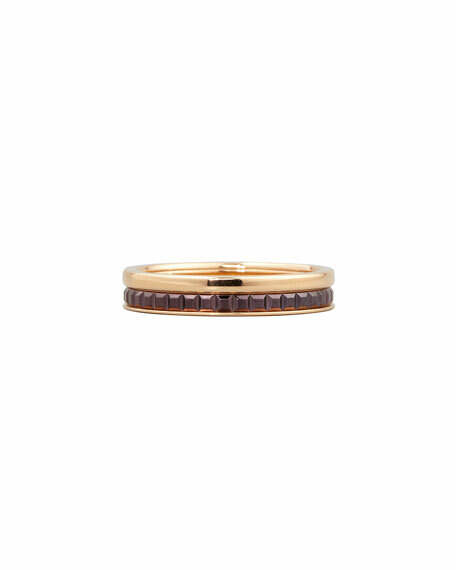 Wear it with other Quatre bands for a well-curated finish. 18-karat pink and Boucheron chocolate gold in smooth and studded texture.